When I was watching the new Mountain Man TV series on the History Channel, I saw Marty Meierotta sitting at his cabin in the middle of nowhere in the mountains of Alaska. He put a large pole up against the cabin which was made from a tree. It had an antenna on the top and one radio station was the only thing keeping him attached to civilization. 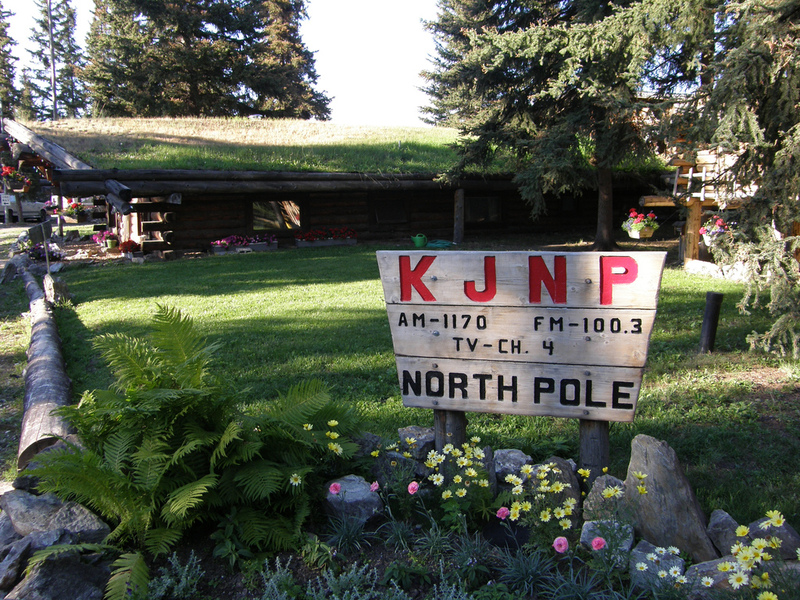 It was North Pole, Alaska 1170 AM KJNP. They had his wife and kids wish him a good night and a safe return. I was so impressed that I contacted KJNP and asked if I could feature their radio station at Music Charts Magazine’s website. Needless to say, I spoke with two very friendly ladies who told me it was a gorgeous day in North Pole, Alaska at 86 degrees. KJNP has a sod roof and has to be a DJ’s dream to work at such a historical building. It’s America’s radio beacon of the north and rightly so. Please visit them by clicking on the KJNP logo up above. 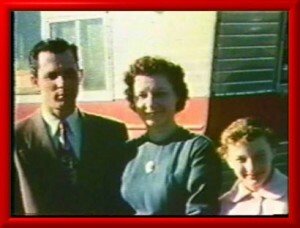 Co-Founders of KJNP, Don Nelson (deceased-May 8, 1997) and Gen Nelson (deceased-April 12, 2009) both came to Alaska in April 1956 with their daughter Judy and started their ministry in Steven’s Village. Their sole purpose in life is to reach souls for Jesus. After Don learned to fly, they conducted Daily Vacation Bible Schools in different villages and meetings in the villages as well. KJNP was the result of a winter storm and the frustration of trying to fly into the villages to celebrate Christmas. Their only way of touching base was getting on a radio station in Fairbanks and broadcasting the gospel message from there. The response they received was great and they were asked to do a regular program called “Far North Gospel Song and Hymn Time” using country/gospel music interspersed with comments from Don and Gen.
KJNP AM is a 50,000 watt station and is on air approximately 19 hours a day. It reaches North Pole, Fairbanks area and remote villages in Alaska in the radius of 200 miles in the summer and an unknown distance in the winter months. An example; New Zealand in the South Pacific. The format is Country/Gospel music, News, & Bible, Children & Family Programs. KJNP Radio also has a Satellite Network that puts their programming of the AM station on local FM Translators watts covering Barrow and Tok, Alaska. Regular FM Translators are at Dot Lake, Fort Yukon, Circle and Central Alaska. Trapline Chatter is a unique program on KJNP. KJNP-FM is 25,000 watts. 24 hours a day KJNP-FM reaches the Greater Fairbanks, Alaska area and remote villages surrounding. It has a radius of 150 miles from our transmitters on Ester Dome (a hill on the out skirts of Fairbanks, Alaska) which is approximately 1600 feet above the average terrain. The format is Classical/Sacred Music. KJNP FM is an affiliate with Moody Broadcasting Network out of Chicago.